FREE delivery to United Kingdom in 10 - 12 weeks. 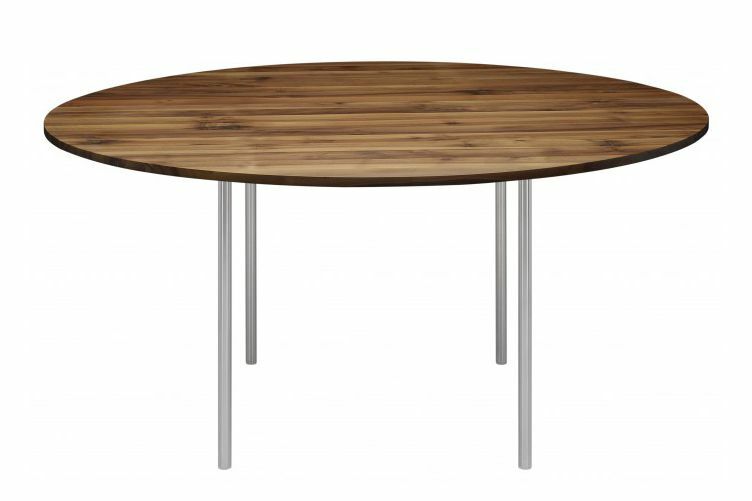 The table Anton features refined simplicity and strength in its elegant form. The table Anton illustrates an uncompromising focus on the essentials with regards to material and form. The table top has been constructed using 8 solid wood planks and is only 20 mm thick. The walnut tabletop is build out of 11 planks. The legs have a diameter of 30 mm, are removable, and come in either powder-coated steel or brushed stainless steel. The table top and frame come bolted together.